The Spotlight on Flex showcases professionals from member organizations who exemplify personal and professional success while working a flexible schedule. Their stories illustrate the long-term benefits that flexible schedules offer to both individuals and organizations. For April 2018, we are pleased to share insights from Anita Agajanian, Partner, DLA Piper (Boston, MA). 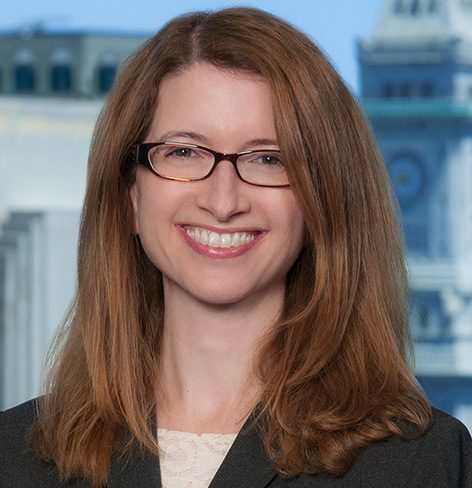 Anita Agajanian: I came to the Boston office of DLA Piper as a new lateral partner. I had been at the main office of another Boston firm for years prior to my move. It was a leap of faith to come to DLA Piper because it was such a different type of law firm than what I was used to. The Boston office had only been established two years at that point and was, at the time, one of the firm’s smaller locations. I decided to make that leap though, because I believed in DLA Piper’s commitment to its real estate practice and the firm’s national and global reach. As a young partner, I knew I could have a broader practice at a firm like DLA Piper. When I first started here, I was working full time. But after I had my first child 11 years ago, I knew I wanted to switch to a reduced hours schedule. The firm is, and always has been, very supportive of attorneys to work flexibly – they are quite transparent about it. DLA Piper has policies in place and encourages attorneys to utilize them. I had a lot of confidence when I approached the idea to work a reduced hours schedule because I knew the firm was committed to it. It was really more of a personal question about what would work for me, rather than what would work for the firm. I wasn’t concerned about the reaction to my change in schedule because I knew everyone would be supportive. Under my initial flex schedule, I worked four days a week, with one day at home with my son. However, I quickly learned this schedule was not flexible enough to really control my time and meet my clients’ needs. I readjusted and remained at the same reduced hours but came into the office five days a week (and this is my current schedule). My reduced hours may have remained the same on paper, but there are weeks when I work more than a full time schedule, and there are other weeks when I work less. Coming into the office five days a week gives me the flexibility to leave early or be out on the days I need to be in order to fulfill my other obligations. DFA: How have the firm and clients contributed to your flex success? How has flexibility contributed to your business development and sustainability of working at a firm? AA: The goal is that when I’m working, I am giving my clients my full attention, and when I’m with my family, I am giving them my full attention. Having a flexible schedule lets me do this. One of the things that surprised me about becoming a partner was how many non-billable responsibilities you have, as compared to being an associate. It’s absolutely true that working flexibly affords me more time to focus on business development that I wouldn’t have on a full time schedule. I can participate in opportunities outside of the firm like being involved in the community, my kids’ schools, and other events that have incidental business development advantages. I don’t think most of my clients know I work reduced hours. I don’t hide it, but because I’m in the office five days a week, it’s not obvious. DFA: Looking back, what would you tell your first year associate self? Would you do anything differently? AA: I would tell my first year self to prioritize. Not everything has the same priority, and this is a skill you develop more and more as you gain more experience. You need to set goals as a first year or junior associate and be confident that you’ll achieve them. You shouldn’t be afraid to say no to requests for your time, and focus on the things that matter. DFA: How do you pay it forward, and how do you recharge your batteries? AA: The number one way I pay it forward is through mentoring, particularly young women in and outside of the firm. I get as much reward from mentoring as I feel that I’m giving to others. These relationships are really important to me, and I see women I’ve mentored in law school or as junior associates assume positions where they are, or could now be, my clients. And the number one way I recharge is by spending time with my family. I really enjoy cooking, and now that my kids are older, my zen moments come from cooking, with a glass of wine in hand, surrounded by my family. If you are a professional working a flexible schedule and would like to share your story in an upcoming Spotlight on Flex, contact Eliza Musallam.